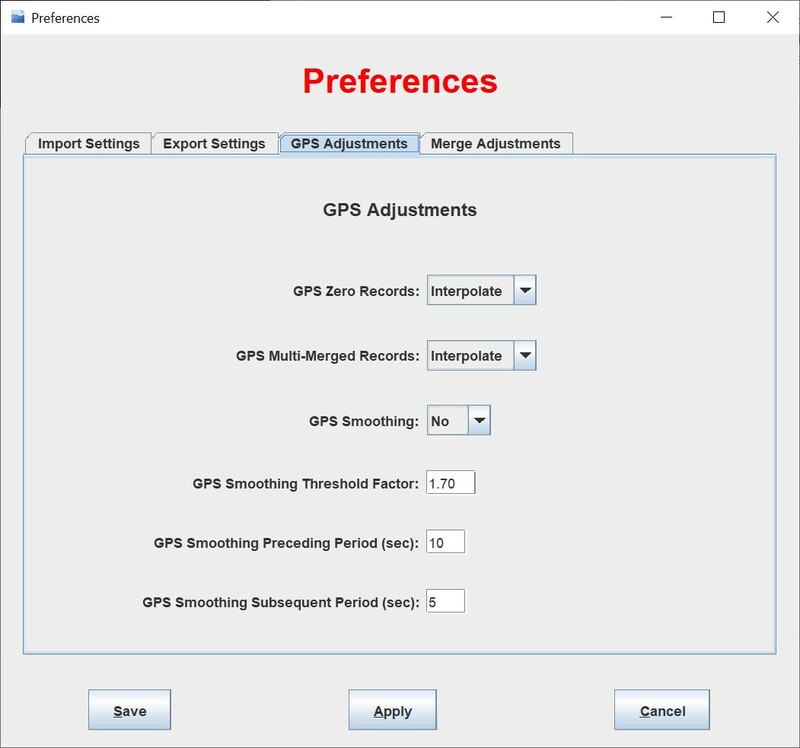 Possibility to use GPS- adjustments also for TCX files. 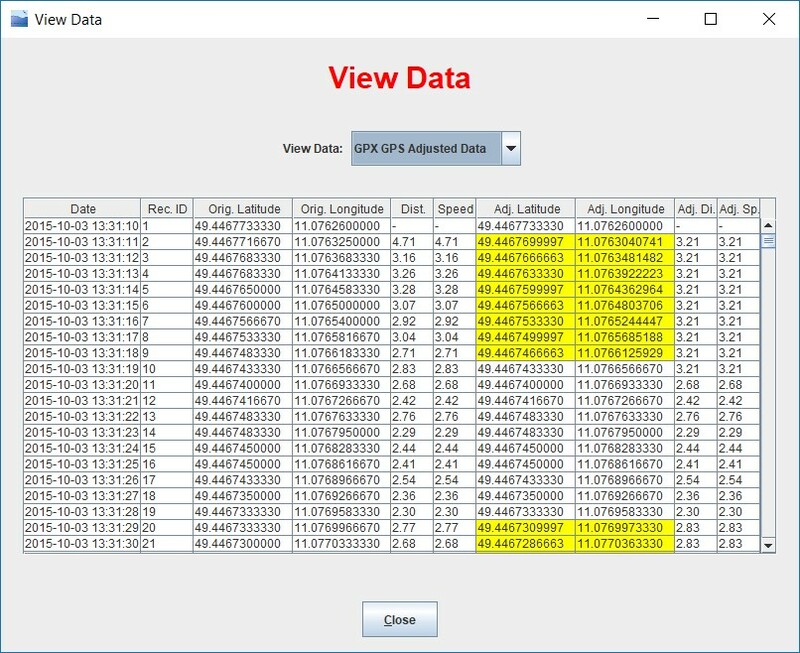 In Data View window, cells with an adjusted GPS value get now highlighted in yellow. 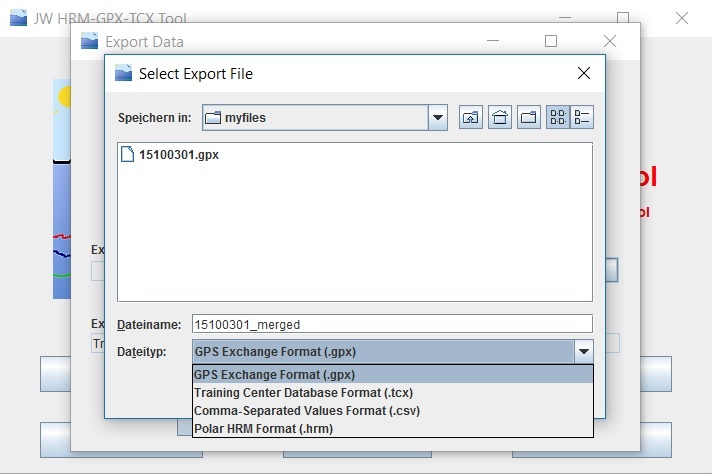 GPX- and TCX- files get now exported without unnecessary line break- and blank- characters and so file size is reduced significantly. There is a new preference "Expand XML" for switching this on again in case desired. Bugfix: The help in console mode showed a wrong name for parameter "-impdp". A few other small improvements and adjustments. Improved compatibility for HRM exports (e.g. PPT5 when including Power values, HRM Profil). Minor improvement when loading power values out of HRM files: not necessarily additional data respectively column for Power LR Balance- and Power Pedalling Index values get created in case power values are available only. Updated file name extension of batch generated output files, reflecting the meanwhile changed application name. A few internal adaptions due to meanwhile depreciated Java API used. Applications requires now at least Java 2 Runtime Environment (JRE) Release 6 or higher installed. Description: Many sports- and map-applications require activity information within a certain format (e.g. GPX, TCX or HRM). However, often heart rate monitor data and GPS data is recorded in a different format or even separate data files which must be merged into one (e.g. 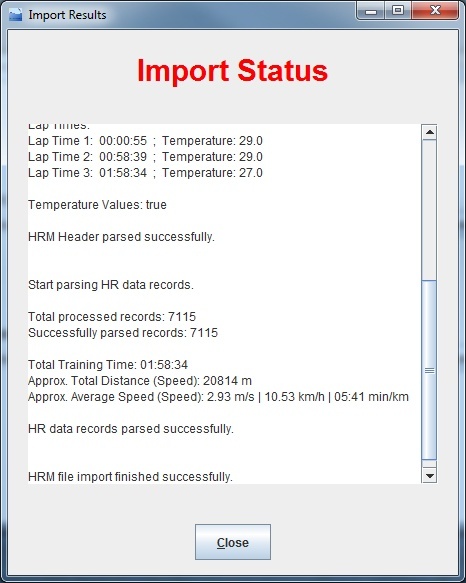 HRM and GPX files recorded in parallel). 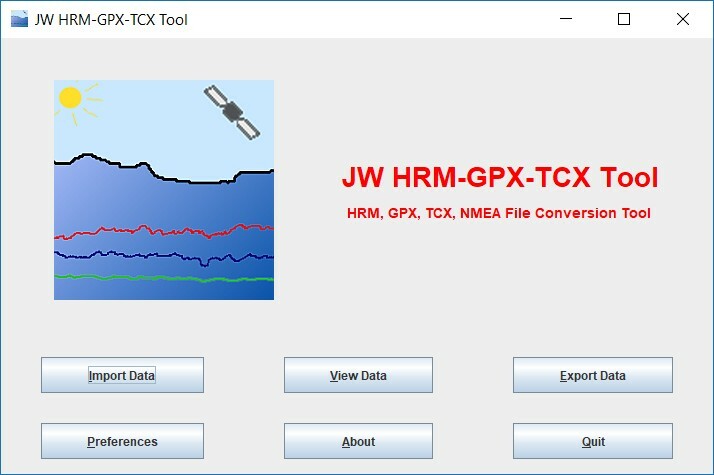 JW HRM-GPX-TCX Tool merges and converts HRM (Polar Heart Rate Monitor), TCX (Garmin Training Center), GPX and NMEA files with and into each other for further usage with such applications. Additionally, it provides solutions for typical data adjustment challenges going along with that. Please take a look into the manual for further information and a description of the features in detail. The application is optimized to its special purpose and offers more functionality and adjustment features than probably any other comparable application. The application is a major enhancement of the previous JW HRM & GPX Tool. It runs on multiple platforms like Windows, Mac or Linux given that Java Runtime Environment (JRE) is installed. No advertising is included and no internet access is used or even required. The software is © by Jochen-Matthias Wienke. All rights reserved. Usage entirely at own risk. Please always read included README files and manuals. All trademarks are © by their respective owners. Polar Flow and Polar ProTrainer are trademarks of Polar. 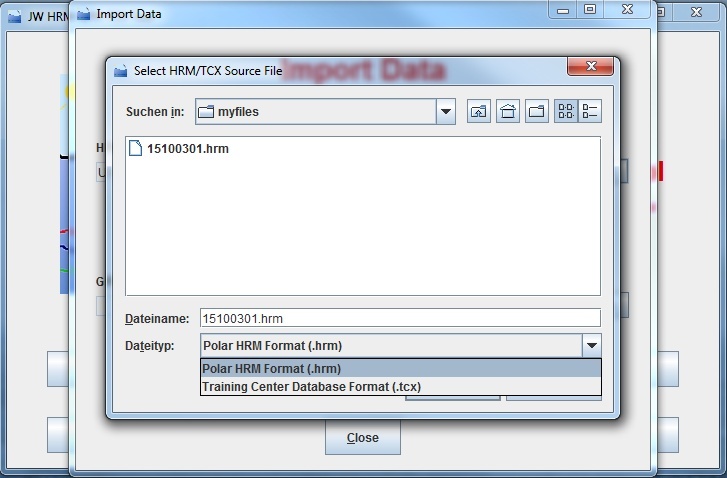 HRM file format (developed by Polar) and TCX file format (developed by Garmin) and other file types used accordingly to the respective terms and conditions. This software is a private offer and not connected to Polar, Garmin or other companies and services mentioned. Requirements: Any system (e.g. MS Windows, Mac, Linux) with Java 2 Runtime Environment (JRE) Release 6 or higher installed. Import data: HRM-, GPX-, TCX- and NMEA- (.log and .nmea as used by some photo- and action- cams like those from Canon or Sony) files incl. header information, lap times/waypoints, track records. Support for many devices and applications like those of Polar (e.g. Polar ProTrainer and Polar Flow) and Garmin. View data: Header information, lap times/waypoints, track records, merged record data, calculated and basic statistics (e.g. distance, net training time, average speed). 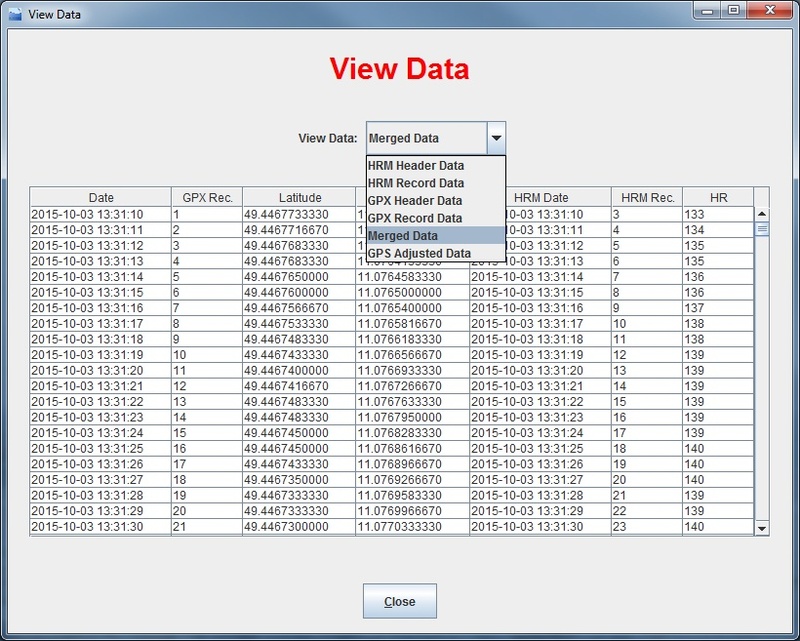 Export data: Header information, lap times/waypoints and track records to CSV-, GPX-, TCX- or HRM- files. Beside merged data also unmerged data can be exported if e.g. only certain information shall be removed from a GPX file or it shall be just converted into a different file format. 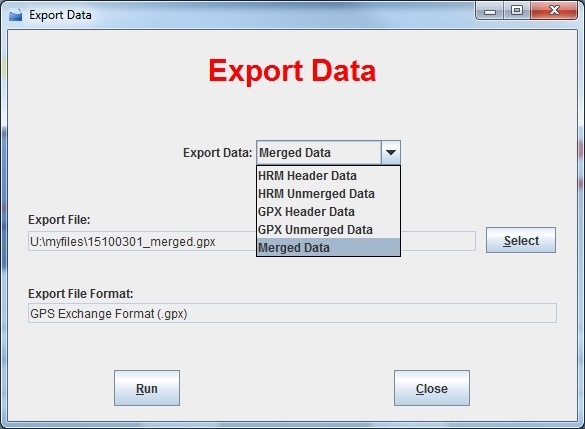 Even HRM-only data can be exported to GPX- and TCX- files, or vice versa. Complete offline solution: No usage of internet at all. Means complete functionality also without internet access, no privacy-issues (e.g. uploading data to somewhere) and no security-concerns due to an internet connection. 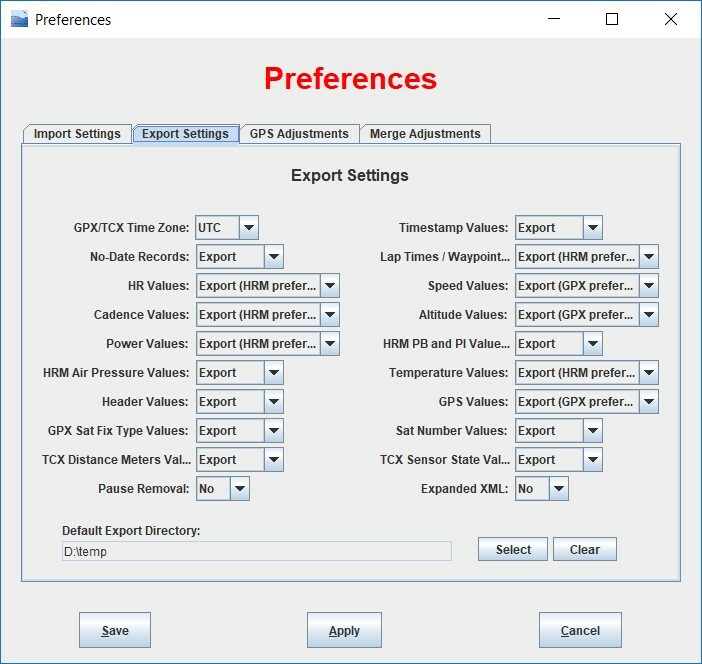 Several preferences for data im- and export (e.g. time zone settings, data field in-/exclusion settings) as well as time adjustments for synchronization and correction purposes. GPS Adjustments: Possibility to filter out or interpolate GPS Latitude/Longitude data with zero values or resulting in unrealistic local peaks of speed (e.g. due to bad satellite connection). Multiple merge modes incl. GPS stretching/shrinking functionality: E.g. useful to use GPS information of a different exercise (in case no GPS recording was done in this exercise, but information is available in a different recorded file of the same track). Pause times recognition and removal: Real performance data considering pause times during recording also in target applications (especially along with file formats like HRM). Console mode and batch operations: Execute conversions out of the command line interface without using the GUI. Possibility to process whole directories and sub-directories automatically. File Repair: Application might be able to import also files that are often rejected by other applications because they don’t meet strict (XML-) standards, are incomplete or corrupt. Support me and get new releases earlier! Please consider that software development and support takes a lot of (leisure-/family-) time. This is especially true in case of an application shall not only fulfill own needs and shall ensure high quality under any kind of circumstances. By making a one-time-donation you can support me in developing the tool and as complementary present in future you'll be able to download new releases much earlier than other users. Donating is rather easy in case you have a PayPal account. Neither for donating nor for priviledged download it is necessary to provide personal data or even have to register. (1) Donate any amount of your choice you think is a fair one by simply using below PayPal button. (2) After the PayPal transaction completion you should be instantly forwarded to a page with a code and further download information. (3) You don't need to register here or provide elsewise any personal data. Just keep your PayPal receipt for potential future clarifications.